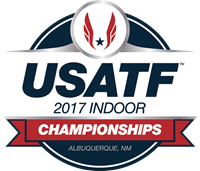 Clayton Murphy and Ajee Wilson showed why their futures are very bright as they won some compelling races at the final day of 2017 USATF Indoors. 19 year old Lyles is the real deal. There should be some great finals on Sunday. And we're giving the edge naturally to the Olympic silver medallist. If you like upsets, read this as we are predicting a guy who didn't even make the Olympic Trials to win the men's mile at USAs. The men's 1k is loaded as it included Murphy, Andrews, Wheating and Kidder. The 600s at USAs feature some very interesting match-ups but none better than Okolo vs Wilson on the women's side. But can the WR holder Cas Loxsom deliver the goods on the men's side or will Donavan Brazier win his first US title?